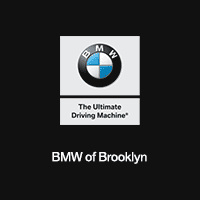 BMW Select is a financing option available to Staten Island and Manhattan drivers. It combines the benefits of traditional financing and leasing a vehicle, so you can take home a new BMW in a way that works for you. Learn more below, then contact your local authorized BMW finance center with any questions! How does BMW Select work? It is described by BMW as “a retail installment sales contract with a balloon payment.” Find out here and see if Select balloon financing might be the right option for you. You are purchasing the vehicle, but part of the purchase balance is added to the end of the contract as a final balloon payment amount. This is a way to reduce monthly payments during the contract’s set term, which brings the short-term cost benefits of a lease to the security of ownership. When the contract is up, you have flexible end of term options: you can either refinance the final payment, or you can choose to pay it off. The final balloon payment amount depends on several factors, including the estimated future market value of a financed vehicle, creditworthiness, and contract terms. Contact local authorized BMW dealership in Brooklyn near Queens to find out if BMW Select balloon financing is available for you. When you’ve found the BMW that’s right for you, apply for financing online to get a head start before visiting BMW of Brooklyn!